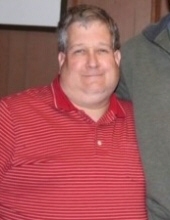 Robert Samuel Martin, 47, of Wiggins, passed away Monday, April 8, 2019 at Forrest General Hospital. A memorial service will be held at a later date. Mr. Martin was a member of Harvest Baptist Church in New Augusta. He sold insurance for the last 15 years, starting with Acceptance Insurance in Hattiesburg, and for the last five years he was with Direct Insurance in Gulfport. He was preceded in death by his mother, Lanita E. Easterling. He is survived by his sister, Terrie (Earl) Dean of Brooklyn; one nephew, Dustin (Ravin) Dean of Wiggins; and one niece, Lauren Michelle Dean of Wiggins. To send flowers or a remembrance gift to the family of Robert Samuel Martin, please visit our Tribute Store. "Email Address" would like to share the life celebration of Robert Samuel Martin. Click on the "link" to go to share a favorite memory or leave a condolence message for the family.